Holy Mount Athos is located on the peninsula of Chalkidiki, adjacent to the northern part of continental Greece and is washed by the waters of the Aegean Sea. 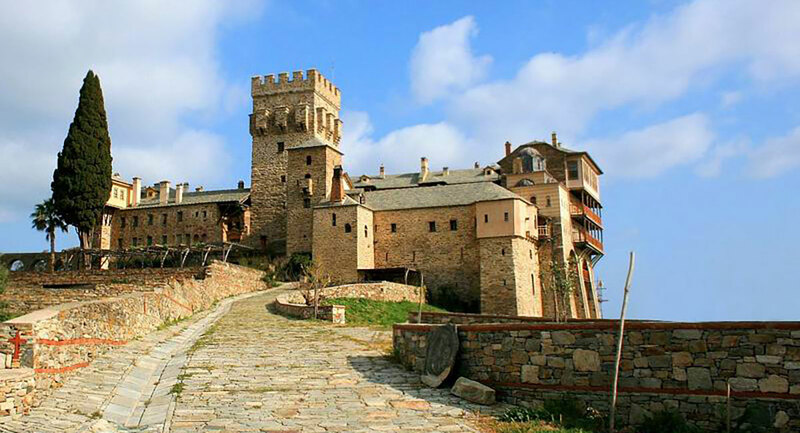 Mount Athos monasteries – twenty ruling monasteries and many monasteries – occupy a total area of ​​sixty kilometers, they are located along a narrow peninsula, the width of which in different places ranges from eight to twelve kilometers. The mountain, which gave the peninsula the name, is located on its southern limb and has a height of 2033 meters. The top of it is crowned with a temple in honor of the Transfiguration of the Lord. According to Plutarch and Homer, in ancient times Mount Athos was known as Apolonada-here in the third century there were ancient settlements, but besides the names there are no information about them. There is a legend that Karea with its environs in the pagan world was known under the name of Pentapol, where Alexander the Great was supposed to rest in the interval of his victories and feats, and that some of the Greek sages came here for the purpose of seclusion, which is necessary for their deep reflection. All this proves that the Holy Mountain and in the ancient era of paganism enjoyed a special respect and fame. It is believed that the monks lived on Mount Athos from the earliest centuries of Christianity, and some monasteries still preserve traditions and history, entrenched in the fourth century. Written testimonies have hardly survived to this day, but the legend says that the history of Christianity in the Holy Mountain goes back to the apostolic times and begins in the era of the earthly life of the Blessed Virgin. 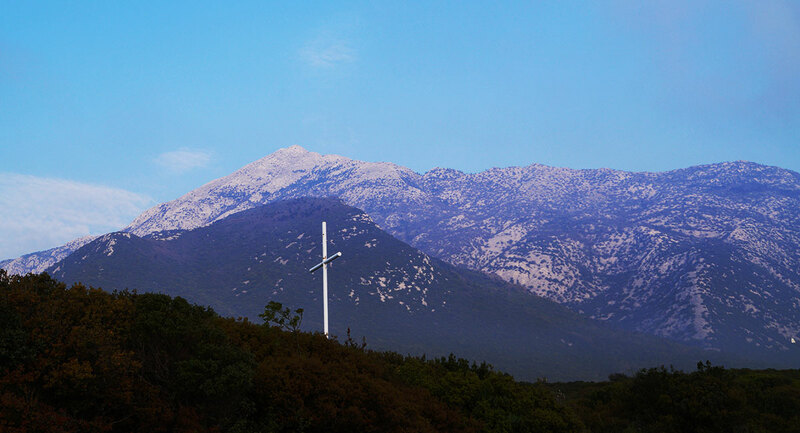 In one of the manuscripts, copied from ancient parchment and translated in 482 from Arabic into Greek, it says that when Constantine the Great wished to build a city near Mount Athos, the Mother of God appeared to the bishop of this region and said: “I chose this Mountain for My Sake”. Hearing these words from the bishop, the Emperor replied: “I do not want to challenge this land from the Blessed Mother of our Lord. If she wants this mountain to be inhabited by monks, I’ll get everyone out of here”. The Emperor Constantine the Great built three churches at St. Athos Protat in Karey and two more churches in the places where the Mother of God descended to the shore and where she then returned to Jerusalem. All three churches were destroyed in the middle of the IV century by the Emperor Julian the Apostate. 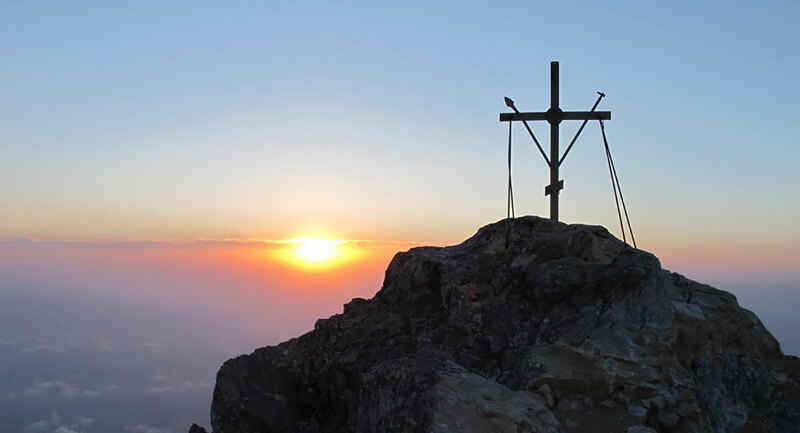 The names of the first inhabitants of the Holy Mountain came to us – the Monk Peter of Athos (734), the Monk Euthymius of Solun (824) and the unknown monk Joseph. The Charter, signed by Emperor Basil I in 885, is also preserved, according to which Mount Athos belongs exclusively to monks. The shepherds and other laity were denied access to the peninsula. At the end of the X century, the Emperor Alexius Comnenus I extended the ban on visiting Athos for all women, and also prohibited the importation of female animals to the Holy Mountain. In 1046, Emperor Constantine IX Monomakh formally established the name “Holy Mountain” behind the peninsula, which still remains today, along with the unofficial “Garden of the Blessed Virgin”. In the XI and XII centuries, the heyday of monasticism in the Holy Mountain is coming. At the same time, there were 40,000 monks on Athos, people of different nationalities – Georgians, Italians, Serbs, Moldavians, Wallachians and Russians – began to come to the Holy Mountain with the desire to join its spiritual wealth, which became known everywhere. In the XIII century Athos suffered under the yoke of the Latin occupation (1204-1261), as a result of political pressure to reunite with Rome, and as a result of the predatory raids of the Franks. From 1305 to 1307 the monasteries of Athos were under siege, after this barbarous riot of three hundred monasteries and cells, only twenty-five survived. Many monks were tortured and killed. In the XIV century, the monasteries of Athos were reconstructed with the participation of the Emperors Andronicus II and Andronicus III of Palaeologia and the Serbian king Stefan Dusan. The XV century was one of the quietest in the history of Mount Athos. The tragedy of the Turkish yoke hardly touched Athos, but the Greek people as a whole suffered from an exorbitant tax burden and social limitations. Poor material, Holy Mountain became known as the keeper of Orthodox history and culture. 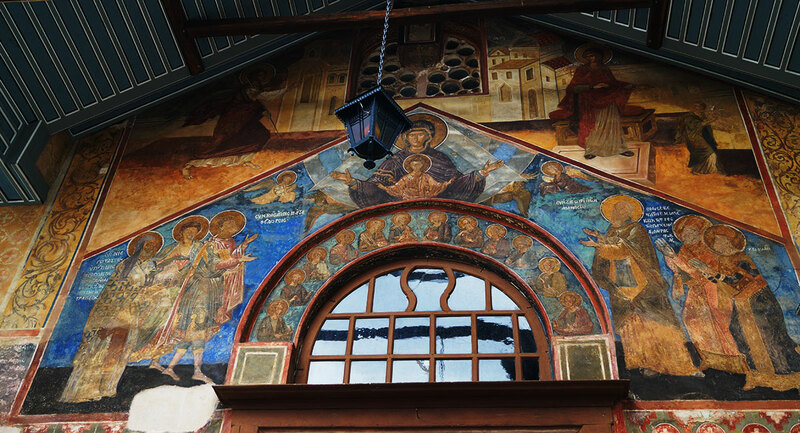 In the monastery of Vatopedi was opened Athos Academy, which was headed by the theologian Eugenios Vulgaris. The Academy functioned as an alternative to studying abroad. Athos suffered greatly during the 1821 war of independence. Of the six thousand Athos monks, most went to other places, on Mount there are less than one thousand monks. After the Second Balkan War, the Athos peninsula was returned to Greece. By 1903, the population of the Holy Mountain increased to 7,432 monks, mainly due to the influx of monasticism from Russia. Decree of 1921, Athos was officially annexed to Greece, but retained autonomous administration. Now on the Holy Mountain more than a thousand seven hundred inhabitants. Legislature of Mount Athos is Kinot (Synod). He meets twice a year to consider issues relating to the life of the saints. Despite all political upheavals, Athos remained an unshakable thesaurus of the Orthodox faith, and according to legend, it will remain until the end of the world and will remain forever the inalienable heritage of the monks. The whole assembly of those who died on the Holy Mount of Saints clearly testifies to the significance of Mount Athos, which it had and has for the Holy Orthodox Church. It is worth noting, that on Mount Athos there are only Orthodox monks. Ancient Athos fathers legislated that the female did notх access to the Holy Mountain, which was confirmed by royal decrees. On Mount Athos often came and regal faces to seek there a peace and quietude under a modest monastic way. It has happened and it is happening now that the patriarchs and bishops, leaving their hierarchical dignity and the burden of power, sometimes, apparently, and sometimes secretly, indulged in the Holy Mountain of all severity of the godfather’s feats, so that God alone knew their labors.